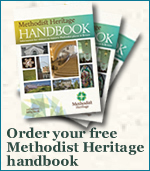 In these pages you will find a selection of papers delivered at conferences and seminars between 2002 and 2013, in the context of the Project co-ordinated by Professor Andrew Walls, which resulted in the publication of Methodists and their Missionary Societies by John Pritchard (two volumes, 1760-1900 and 1900-1996, Ashgate 2013 and 2014). Some have been revised subsequently. You can search for papers either by the author's name or via the list of conferences and seminars. The copyright in each paper is held by the author. They are not to be modified, reproduced, transmitted, published or otherwise made available in whole or in part without the author's prior written consent. By opening any of these papers you agree to these terms and conditions. 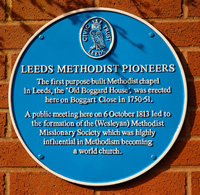 Working it out for himself - the case of Edwin W.
The Project came to a semi-colon (rather than a full stop) with the Bicentenary of the Leeds District Wesleyan Methodist Missionary Society in October 2013. It continues under the auspices of the Andrew F Walls Centre for the Study of Asian and African Christianity at Liverpool Hope University. 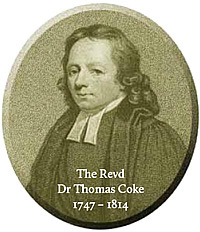 Annual conferences on kindred themes are organized by the Yale Edinburgh Group on the History of the Missionary Movement and World Christianity.